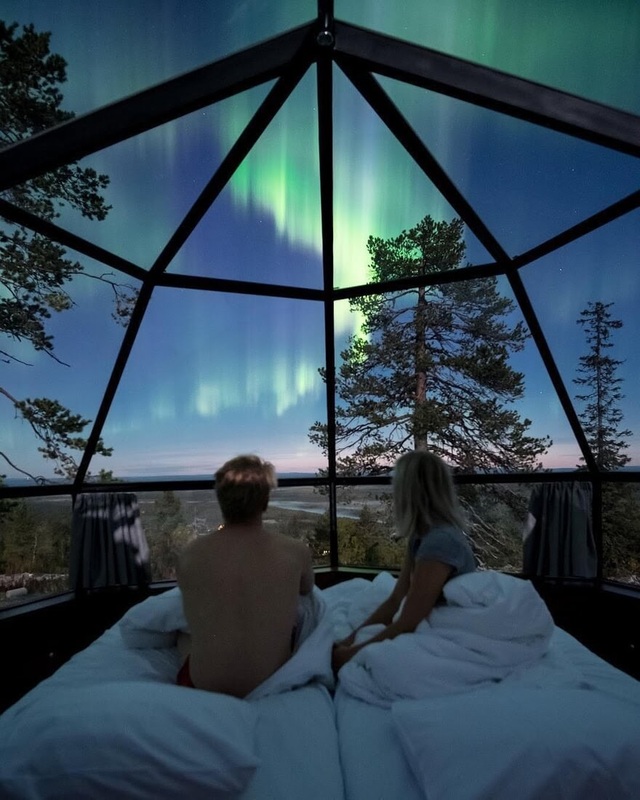 Some of the best night time views you can get anywhere in the world, with the amazing Aurora Borealis included. 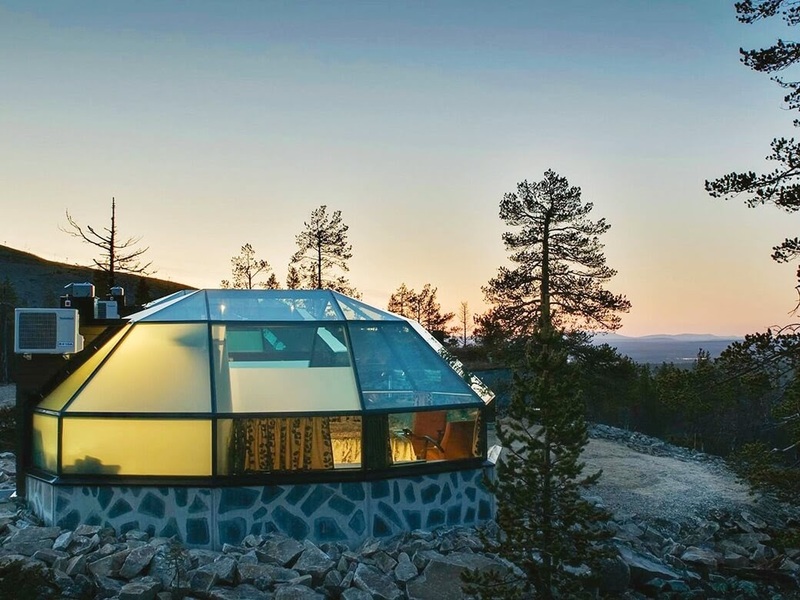 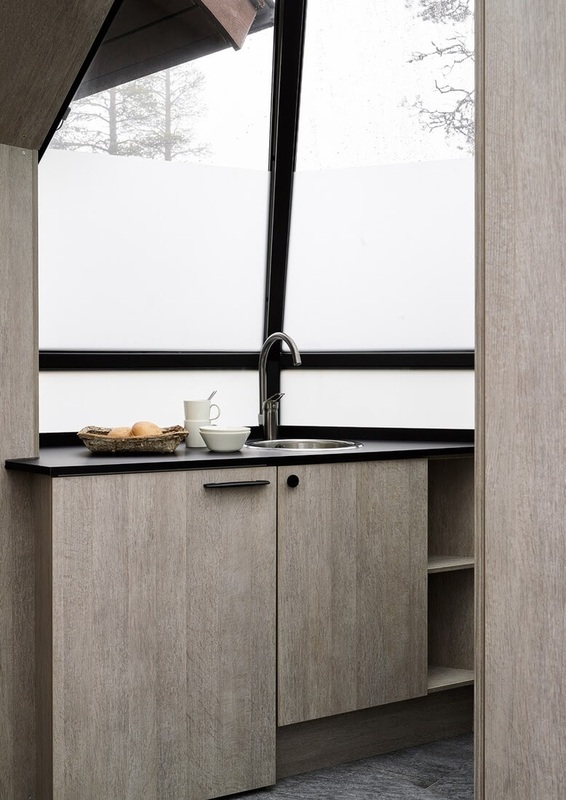 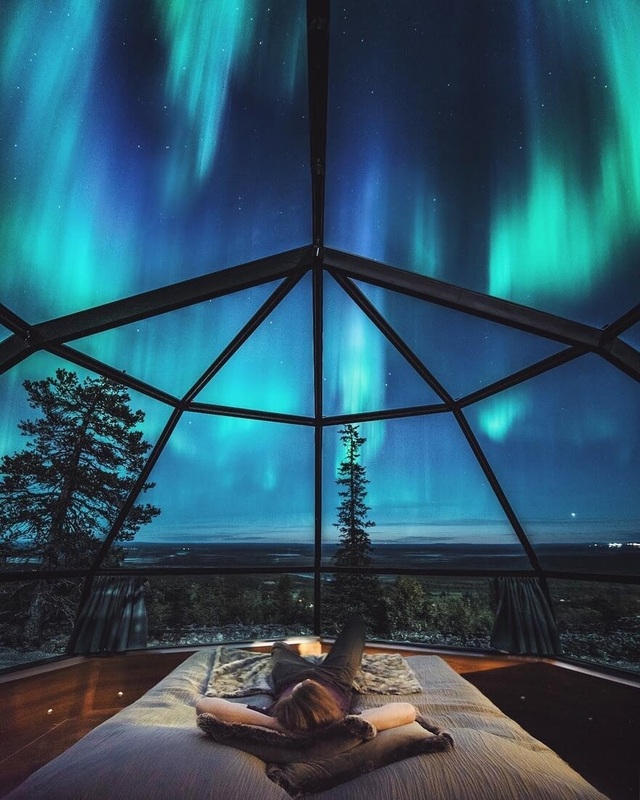 To have a beautiful Finnish sky is not enough, in the Levin Iglut, you get to see it at any time of the day and night, with unobstructed views, through the glass ceilings of the Igloos. 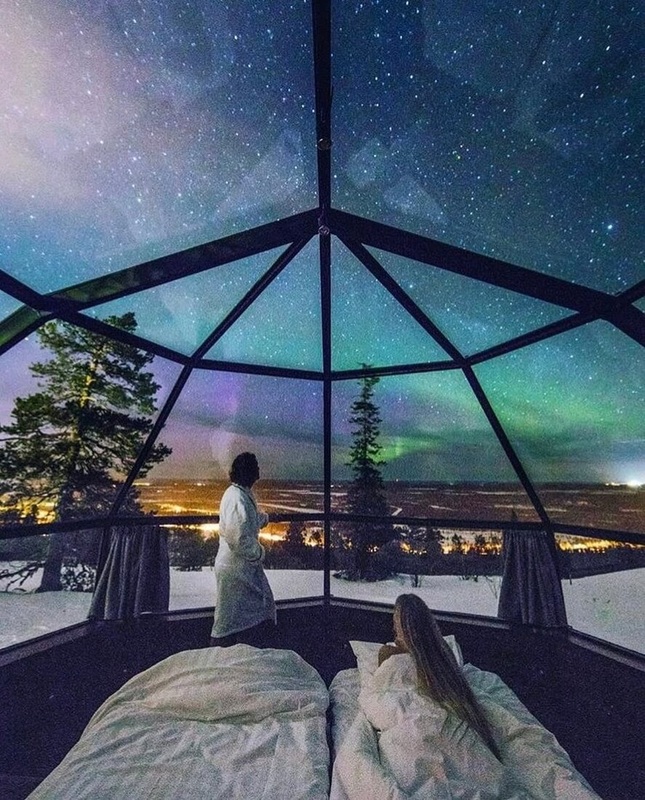 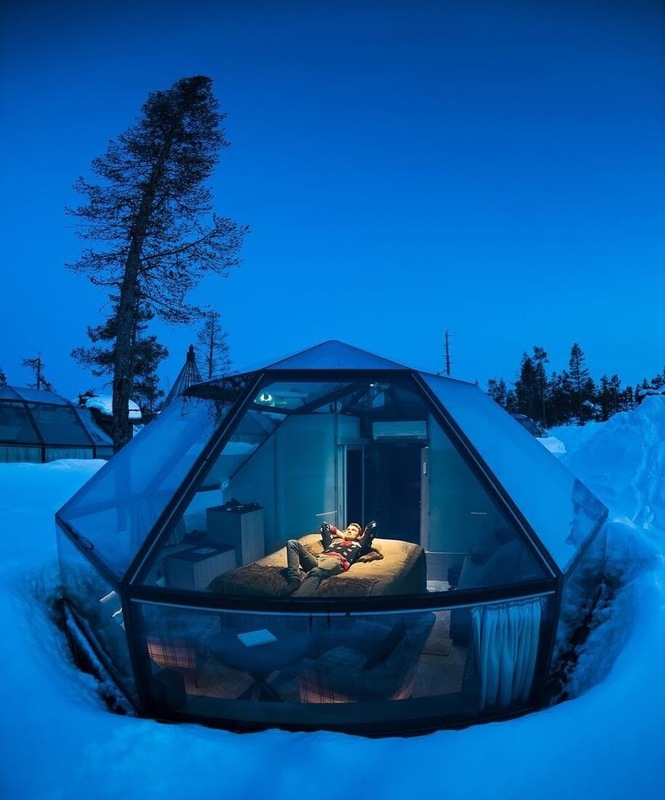 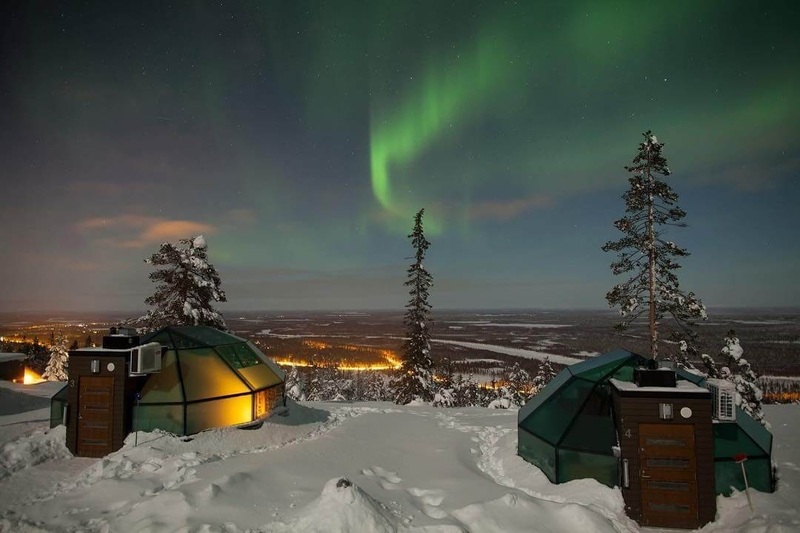 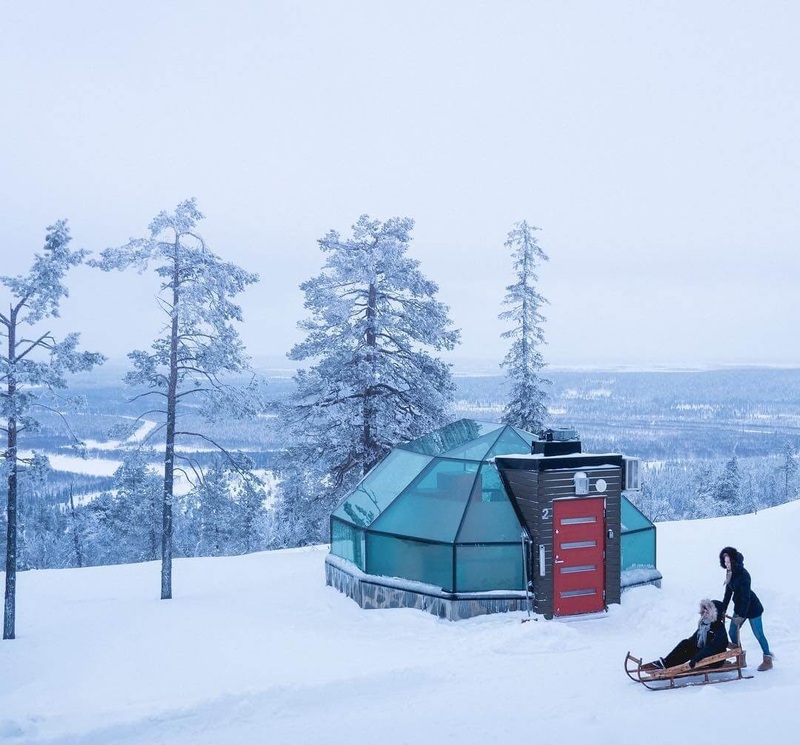 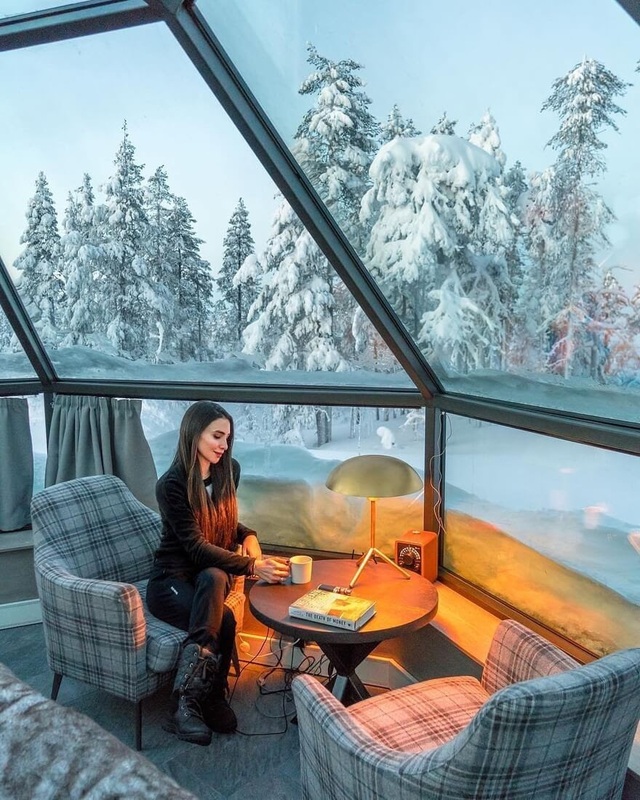 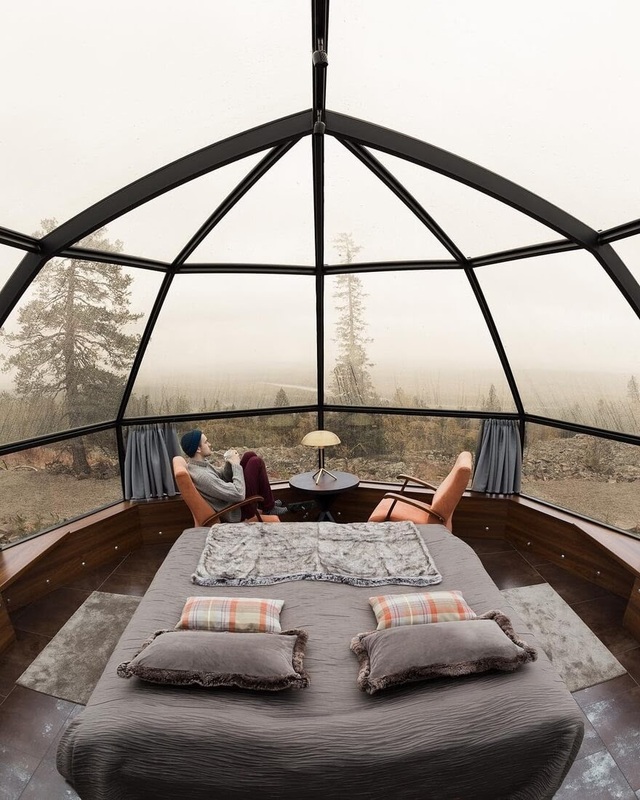 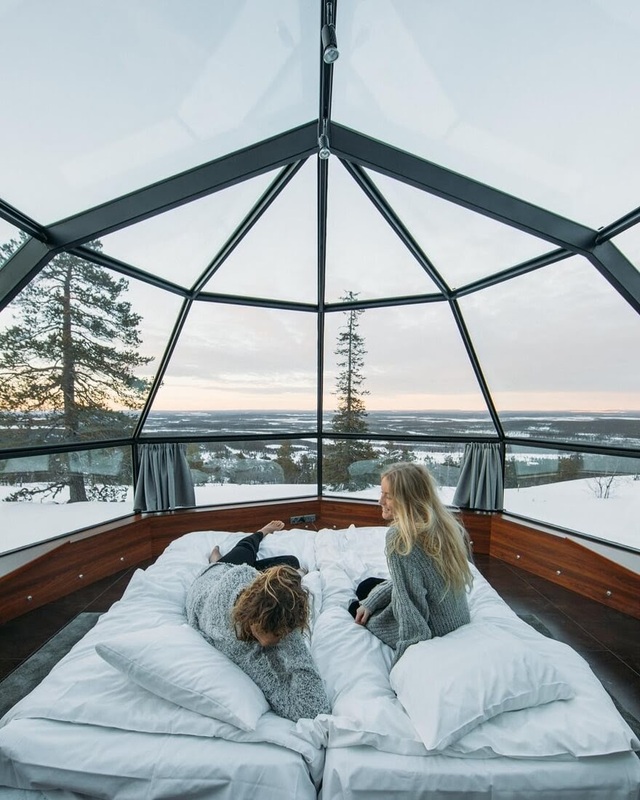 The following is a brief description from the Hotel: "Each of our igloos feature electrically heated non-fogging glass, air conditioning, a small kitchen, shower and toilet, a wi-fi connection and motorized beds, which you can adjust to the desired position for watching the northern lights or sleeping." 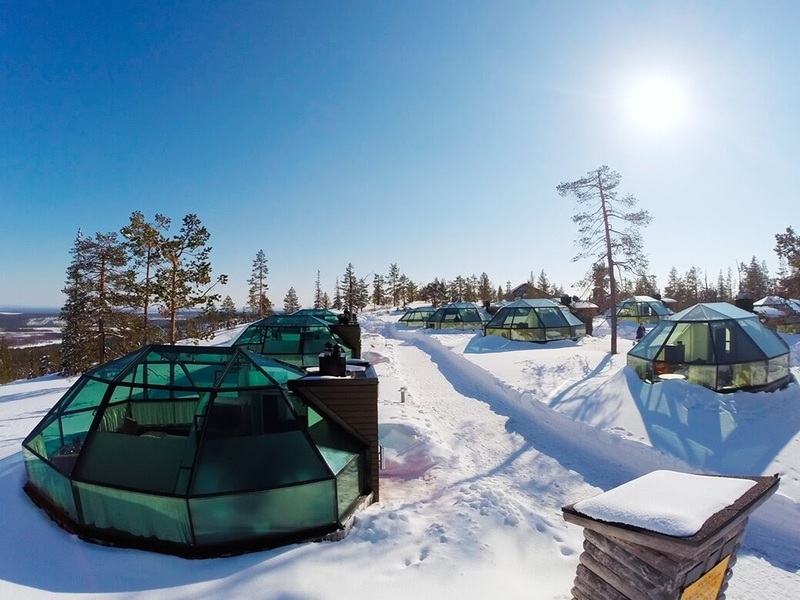 Plus meals are served in the main building. 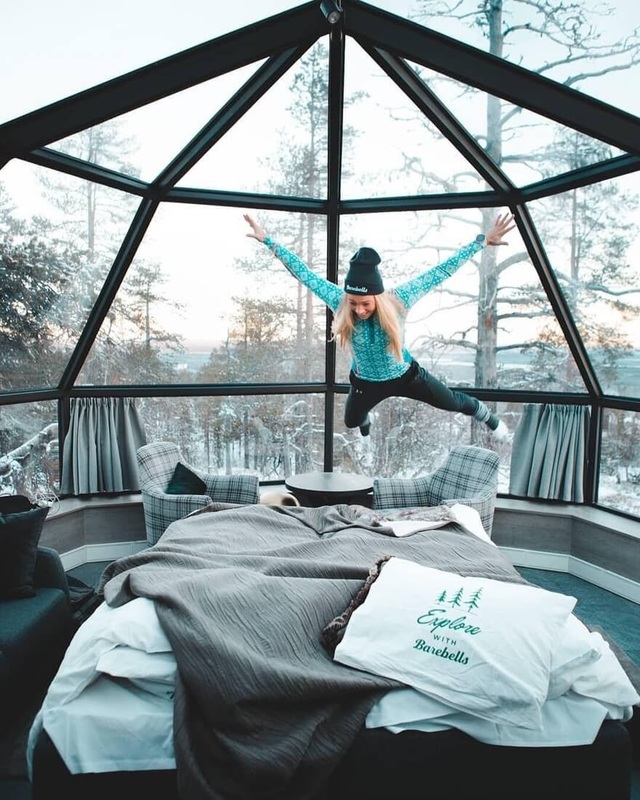 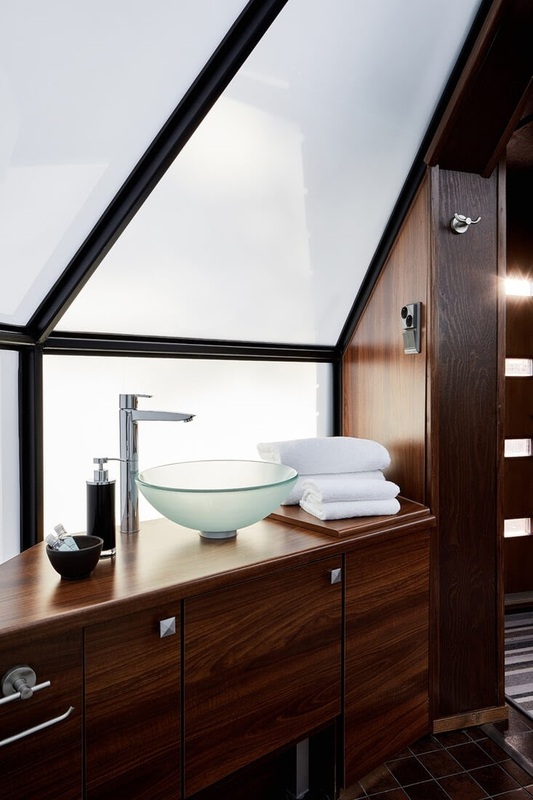 Simple Architecture that makes the best of these cosy, comfortable looking rooms, a real treat from the standard hotel room, don't you think?